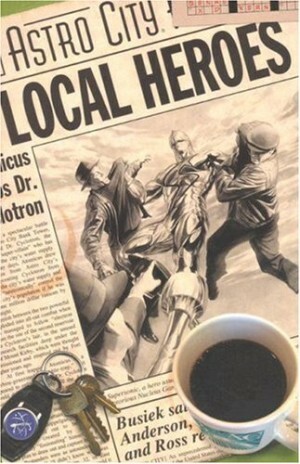 There had been a five year gap in publication between the previous Astro City collection The Tarnished Angel and Local Heroes, so the opener here echoes that of Family Album by presenting a snapshot of Astro City and its assorted superheroic wonders. This time the viewpoint is that of a visiting tourist, and it’s better tale than its predecessor. 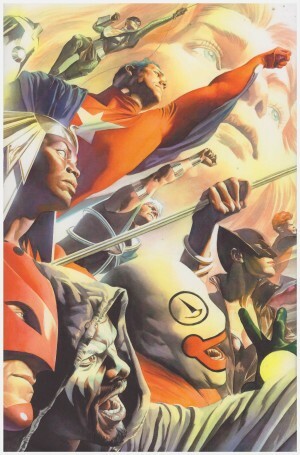 Writer Kurt Busiek then serves up an admirable variety of material, for the most part keeping his focus on ordinary people and their interaction with a society where superheroes are commonplace, and spanning the previous decades. 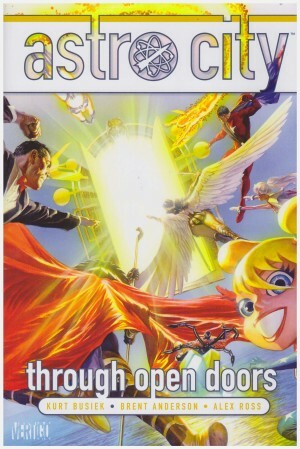 There’s a surely a level of personal experience in the story of Manny Monkton, head of Bulldog Comics, the company with the licence to publish four colour adventures of many of Astro City’s finest. Brent Anderson supplies many recognisable faces in a sequence set at a comic convention. Given the number of heroes in Astro City it makes sense that there’d be a soap opera about their ilk, and actor Mitch Goodman is the star turn of one such programme, portraying the Crimson Cougar. He’s further the unfortunate victim of viral video footage leading to unwanted attention. Irene Merriweather’s story is set in the early 1960s, and plays on the old Lois Lane material of that time when love wasn’t enough, and she was obsessed with deducing Superman’s civilian identity. Busiek offers some new twists on the old plot, and Anderson convincingly portrays Irene both as she was in the Mad Men era, and how she is now. A finale adds nothing to Irene’s tale, but provides a charming coda. 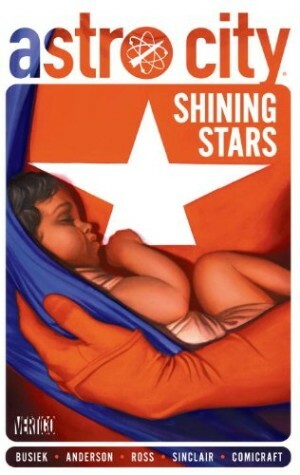 Cynical teenager Cammie Aarons is shipped out of Astro City to rural relatives, whom she considers slow, but charm is again the defining atmosphere as she learns that city sophistication is a shield. Caplinville has its own problems, and its own superhero. There’s very little superhero involvement in the longest tale here, at two parts, yet they’re pivotal to the tale of 1970s lawyer Vince Oleck defending a gangster’s son in a murder case he can’t be expected to win. 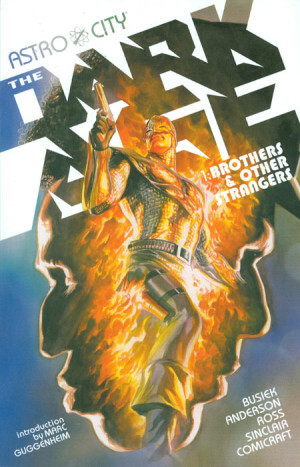 It’s somewhat stretched at two parts, possibly due to introducing the Blue Knight, a character with a part to play in The Dark Age, the following volume. A brief moment there ties into the following story in which retired superhero Supersonic very reluctantly dons his costume for one final battle. In every case Busiek writes a sharply plotted character piece, and while some of the surprises may be more predictable than others, they’re not always the heart of the story, so don’t impact greatly if you figure them out prior to the revelation. Artist Brent Anderson is extremely versatile and dependable. 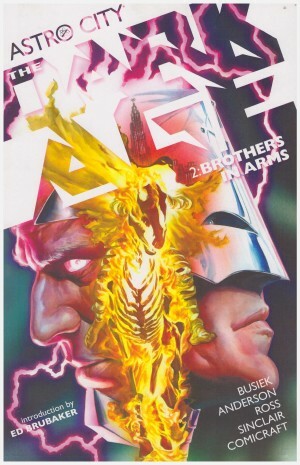 Ordinary people are so important to Astro City, and Anderson imbues them with a vitality and credibility that would be beyond many standard comic artists.